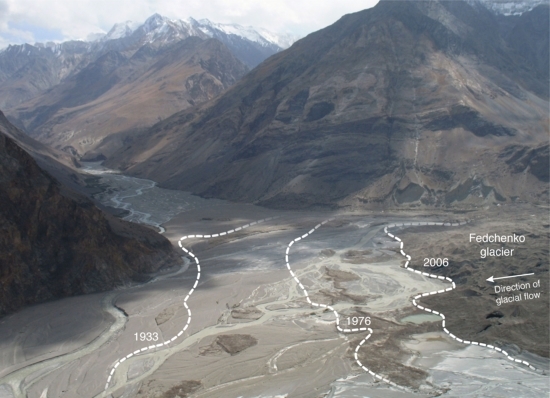 Significant loss of glaciers in Central Asia began around the 1930s, and become more dramatic in the second half of the 20th century and continue into the 21st century. Glacier area was reduced in the Tien Shan and in the Pamirs, including its largest Fedchenko Glacier. The debris-covered glacier tongue retreated by more than 1 km since 1933 and lowered by about 50 m since 1980.